Here's a hot take for you: the Nintendo Switch is the greatest console of this generation. Sure, Xbox has game preservation and Sony has whatever the hell Hideo Kojima is working on, but since the Switch's release in March 2017, Nintendo has worked hard to establish a heartbeat of its own. The handheld has become the best place to play indie hits with Nintendo exclusives that are actively redefining genres, and there's always something on deck to be excited about. Regardless of your gaming experience, there's a lot to discover and love on the massively accessible Switch, and these games are totally worth obsessing over right now. 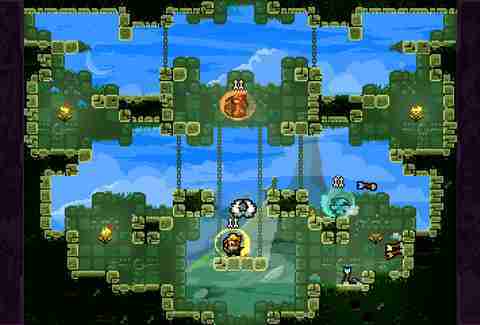 Made by Edward McMillan, the same creator as Super Meat Boy, The Binding Of Isaac is a tremendously difficult indie roguelike based on the biblical tale where Isaac's mother is told to sacrifice her son to prove her faith. 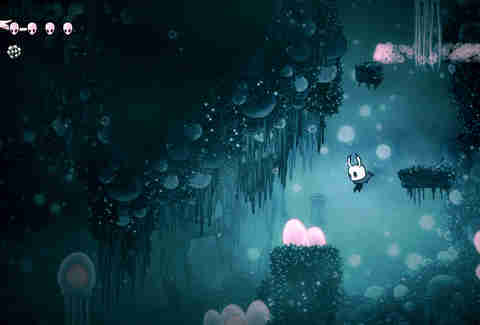 The game starts with Isaac's escape. 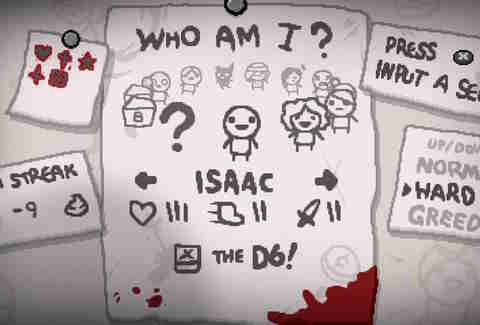 Afterbirth+ -- the expanded edition of the original Binding of Isaac packed with additional Easter eggs and mods -- is dungeon crawling at its finest, with 13 playable characters, more than 180 enemy types, 90-plus bosses, more than 600 items to collect in 11,000 randomly generated rooms, and 13 different achievable endings, each based on major boss fights. It's an emotionally intense RPG, but one you'll obsess over for months, and the loot grind equivalent of bottomless mimosas. Not many masocore platformers are designed so that your seemingly endless string of deaths serves as a tie-in for a larger metaphor about overcoming depression and anxiety, but Celeste manages to do it artfully. Playing as Madeline, determined to summit the mountain Celeste, your pixelated character dashes, wall jumps, and climbs through the levels of the pseudo-haunted pastel 2D world, fighting the physical embodiment of her self-doubt, on her difficult, introspective journey to self-actualization. 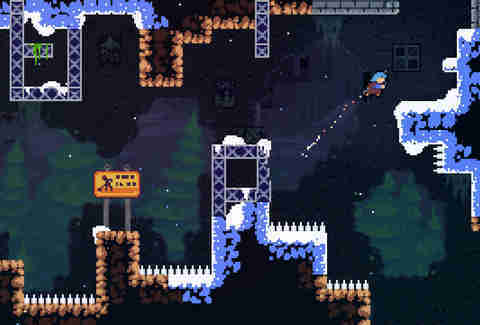 There are hidden rooms to find and strawberries and crystal hearts to collect, but none of those things really matter in the end: Celeste is about celebrating screen-sized accomplishments and wearing your death count as a badge of learned honor. Dead Cells is an overstimulated fever dream, sure, but Motion Twin's debut title hits every checkmark that's attached to rogue-lites and Metroidvanias. It's an action platformer that keeps you grounded and invested -- throwing you head-first into a 2D pixelated nod to Dark Souls that builds on your constant deaths with lessons for improvement. Its difficulty is right up there with the likes of Spelunky and Hollow Knight, but it balances those hair-pulling, pixel-perfect deaths with a ridiculously awesome upgrade system that makes "loop" feel like a dirty word. It's an Early Access game done right and one that gives every run a genuine purpose. 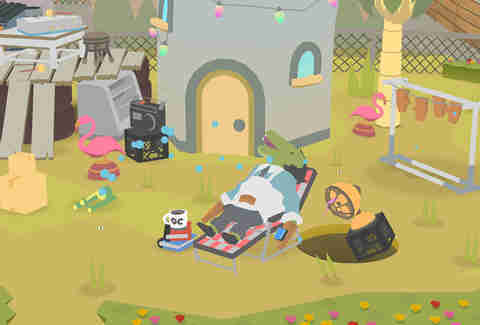 Ben Esposito’s Donut County is one of those indie anomalies that has very little business being as good as it is. What began as a multi-layered Twitter joke made in 2012 instantly became one of the most interesting and accessible puzzle games of 2018. You play as a hole in the ground -- er, really, as a band of greedy racoons using the hole as a low-lift proxy -- moving around and sucking things on the surface into the cavern world beneath. As simple as it may seem, coaxing oddly shaped objects down the hatch ends up being trickier than you may think. The quick, two-hour epic is a clever and deeper allegory for power structures and technology that's as fully engrossing on your Switch as it is on your iPhone or home console. The Gardens Between is a downright mesmerizing and gorgeous interactive puzzler that deftly uses minimalism to punch a hole directly through your heart. You fill in the story of best pals Arina and Frendt, who navigate their way through a never-ending series of dreamlike islands, but here, you use a rewind mechanic to dissect the different threads of their friendship. There’s not a lot to it, considering its three-hour runtime, but compared to other wordless puzzle adventures like Jonathan Blow’s 2016 marvel The Witness, it carves its own niche by tying together logic and a different take on the concept of time to create an inescapable puzzle adventure that's uniquely its own. 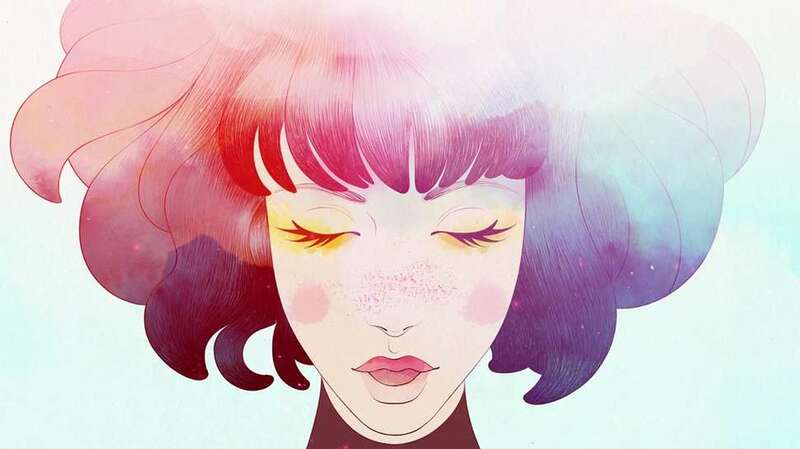 Gris was a late addition to 2018, but it quickly made its name as one of the most intimate pieces of the year. The Nomada Studio project follows a young girl stuck in a world where color is deemed extinct, and through her dress, she’s granted abilities to "better navigate her faded reality." 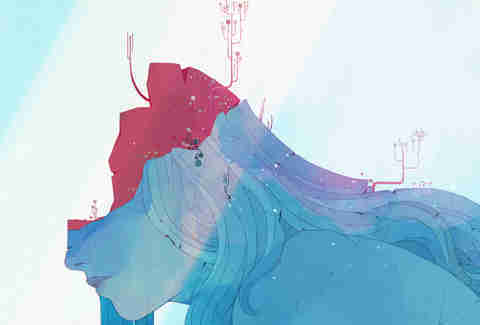 What follows is an original puzzle platformer that binds environmental challenges, detailed artscapes, and a beautiful watercolor world to subtly illustrate portraits of grief, loss, and isolation. It’s a delicate rollercoaster that uses serene aesthetics (and an incredible original score) to keep you hooked. Hollow Knight suffered from being this year's Owlboy -- a standout indie hit that was released on the wrong platform at the wrong time -- but it holds its own as one of 2018's biggest surprises. It borrows from retro devs to forge a beautiful Metroidvania with a beautiful art style, and its cache of charms, boss fights, and quirky NPCs leave you with one headrush after the other. It can be notoriously difficult to master, but its overall depth is a modern demonstration of what a smaller studio like Team Cherry can do with two dimensions and a limitless imagination. 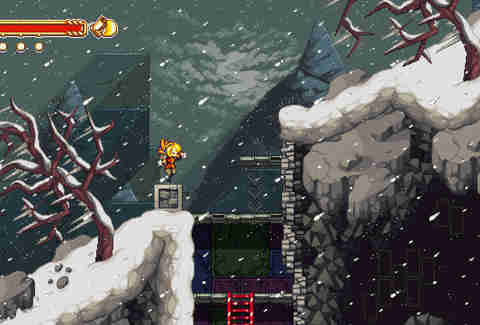 Konjak’s new 16-bit side-scroller is a shining example of retro pixel art done right. At its core, Iconoclasts is a party mix of all things Metroid, Metal Slug X, and Final Fantasy Tactics -- balancing its god-tier ‘90s sprite designs with a PG, NieR-like narrative and screen-filling, anxiety-stirring boss encounters as your high-level foes will shuffle through their powers, tempos, and puzzle elements to shame you in front of your loved ones. 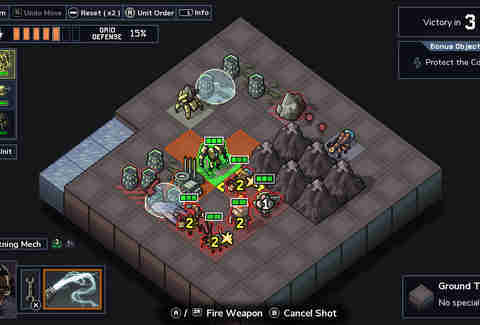 The premise of Into The Breach is simple: you take control of powerful mechs from the future in order to defeat an alien threat. As much as it sounds like some weird X-COM 2 meets Armored Core visual novel fetish, it's not (for now, anyways) as Justin Ma and Matthew Davis' follow-up to 2012's FTL: Faster Than Light is irresistible. The turn-based roguelike throws you into a world where you fight pixelated kaiju on eight-by-eight grids and since you'll die, like a lot, you're locked into a perk and skills-filled progression system that makes every 20 to 30-minute run feel meaningful. 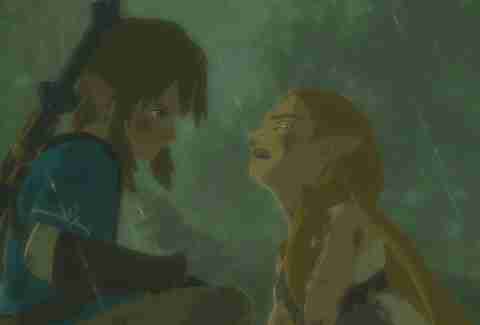 Breath Of The Wild is the biggest and most open Zelda game ever made, and it just so happens to be a 1,000-page essay on how to reupholster the open world genre. 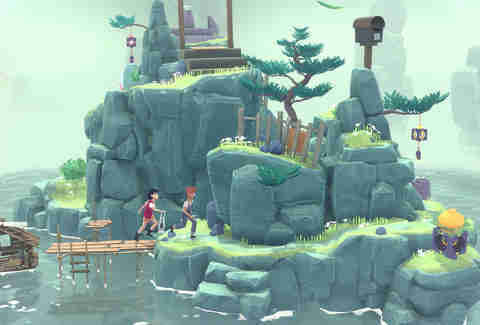 Its characters, locales, music, and Studio Ghibli-esque art style are worth playing it alone, but its ability to take the mundane -- such as cooking, crafting, climbing, and helping villagers in side quests -- and make it feel new again is deeply gratifying. A lot of its charm comes from your own exploration, fighting tough Lynels, riding bears, befriending dogs, taking selfies, and crafting a Home Shopping Network's worth of elixirs only to discover hundreds of other little things that make BOTW a remarkable dreamscape. 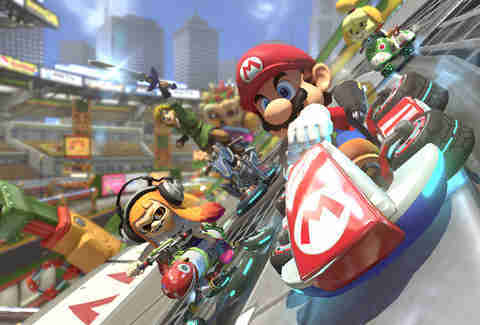 At its core, Mario Kart 8 Deluxe is the quintessential party game -- sort of what Mario Kart 64 did in the 2000s, but better. With 42 playable characters and 48 different tracks, it takes full advantage of the Switch and Bullet Bills its way to redefining what an arcade racer should be. A playable Diddy Kong or not, there's no better feeling than getting a few Cups in with 11 of your friends on a Tuesday night from the comfort of your own bed. 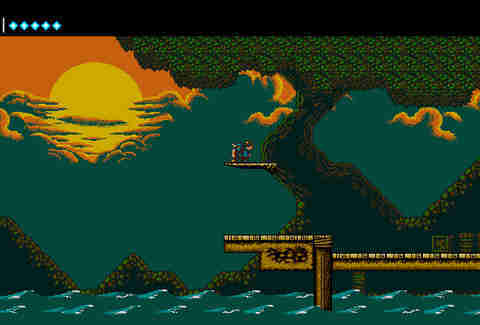 Sabotage Studio's The Messenger is a 2D action-platformer that pays homage to the NES and SNES eras with superb level design, seamless animations, intricate boss fights, and a witty sense of humor that never feels forced. There's an unexpected M. Night Shyamalan type twist that inserts itself at the halfway point, but the way in which it bends the Metroidvania genre to its will and uses its musical scores for interdimensional play is what makes it one of the most compelling indies right now, regardless if you want to call it a Ninja Gaiden knockoff. 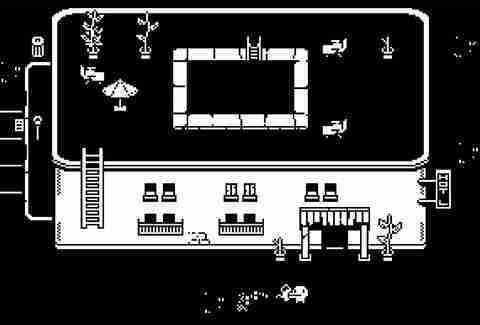 Developed by the indie dream team that is Jan Willem Nijman (Vlambeer), Kitty Calis (Horizon Zero Dawn), Jukio Kallio (Nuclear Throne), and Dominik Johann (Crows Crows Crows), Minit is a cozy, top-down adventure title that embraces the thrills of... time management. In it, you leave your home to help other pixelated folk, uncover secrets, and challenge precarious foes, all with a cursed sword that kills you every 60 seconds. The time crunch is exhilarating and anxiety-inducing, but its monochromatic aesthetic and obsessive take on progression systems makes it an infinite loop of death that is absolutely worth the price of admission. 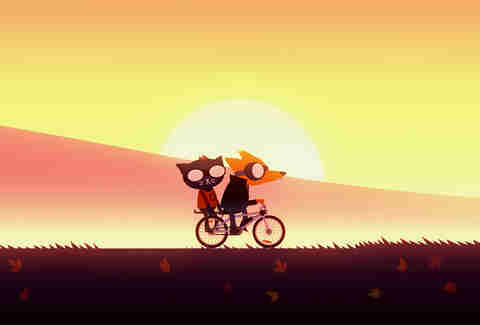 Infinite Fall's Night In The Woods is about a cat named Mae who leaves college to return to her hometown of Possum Springs, and like every great indie offshoot, it goes to some unexpectedly deep places. Its overarching narrative offers a rare look at early 20s existential terror and the overall absurdity of being human, but its characters are its primary strength as every interaction clings to a greater sense of meaning. It's a 2D dialogue-driven adventure that favors patience over skill, but it wastes no time in putting yourself in Mae's shoes and making her small world feel like yours. The Bravely Default team's SNES-inspired, HD-2D turn-based battler is a remarkable tribute to every JRPG ever. It binds its stunning pop-up book design to highly detailed sprites that recall Chrono Trigger and Final Fantasy 6; harmonises its eight different characters with superb level design and an overworld that is crawling with secrets; and swaps the endless grind of similar RPGs for an intuitive play style that requires a whole lot of hypothesising to deal massive amounts of damage. 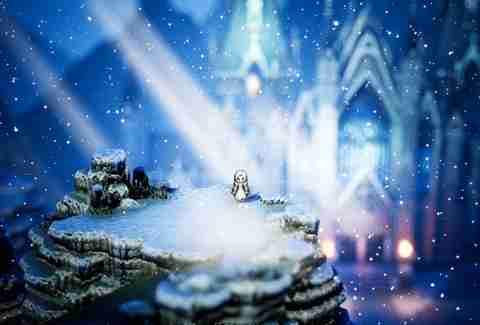 Octopath Traveler is everything you'd want in a 70-hour adventure and it's one of the best-looking games of this decade. Ghost Town Games’ Overcooked 2 is a damn good time as a proper sequel to a franchise that spoon-feeds you another helping of what it’s really like to deal with too many cooks in the kitchen. 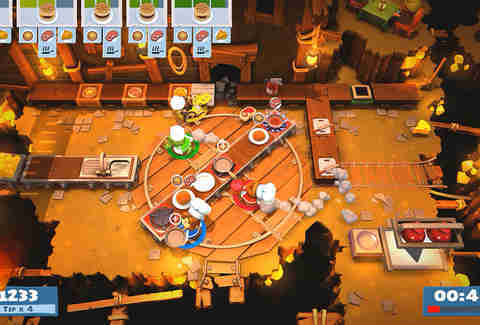 Toss in an Arcade Mode, emotes, online multiplayer (and local wireless play), kitchens inspired by the Dreamcast’s Power Stone 2, and the ability to throw ingredients across these new terrains, and voilà! You have a recipe for disaster that will happily forge some of the greatest (and most frustrating) three-minute bursts of your gaming existence. You will laugh, cry, yell, and smack someone in the face with unnecessary amounts of chopped fish (don’t ask), but that’s just a part of Overcooked 2’s infuriating charm. 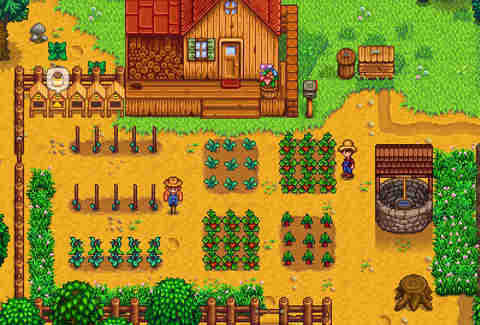 Stardew Valley is a gateway drug into simulation RPGs, not unlike the earliest Pokemon games for your Game Boy. It's a farming game at heart and one that starts with a simple "hoe, plant, water" mechanism and then, like an innocent pumpkin seed, it transforms into a neverending escapade of self-sufficiency. You'll find yourself micromanaging crop rotations, and then all of a sudden you're fishing, mining, naming chickens, befriending a wizard, and flirting with every romantic interest in town. And it doesn't stop there; Stardew Valley is a pixelated microcosm with surprises at every turn, and with a multiplayer update on the way, you may as well cancel your Netflix subscription. Super Mario Odyssey is the greatest three-dimensional Mario game, period. It's a monumental reimagining that expands on the concepts and mechanics of Super Mario 64 and Super Mario Sunshine. With a bit of help from Mario's new magical hat partner Cappy, it makes collectathons great again, sets new standards for the platforming genre, and even goes to great lengths to make you understand what it feels like to be a Goomba. 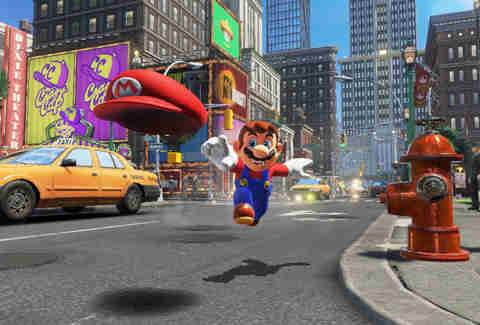 Throw in special costumes, Easter eggs, and an original score that's reminiscent of Koji Kondo's earlier works, and there you have it: Mario Odyssey is an instant 1-Up for a series that continues to pack every joyous moment of your childhood into one single cartridge. Super Mario Party is a Toad-approved return to form with 20 playable characters (including Pom Pom) and 80 brand new mini-games that involve tricycle races, group selfies, Chain Chomp rodeos, and playing a friendly match of badminton in hell. 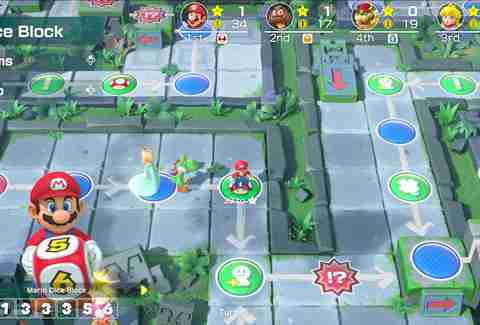 It ditches Mario Party 9 and 10's UberPool mechanic in favor of smaller boards, new character dice blocks, and non-traditional modes that openly flirt with Joy-Con implementations. There's Partner Party for Team Battle fans; River Survival for those that gotta tube; Sound Stage for Guitar Hero outcasts; and a new online Mariothon for when you're in the mood to take L's from eight-year-olds in Eau Claire, Wisconsin. Birdo and Mouser didn't make the final character cut, but our fingers are crossed for Bowsette in a future update. 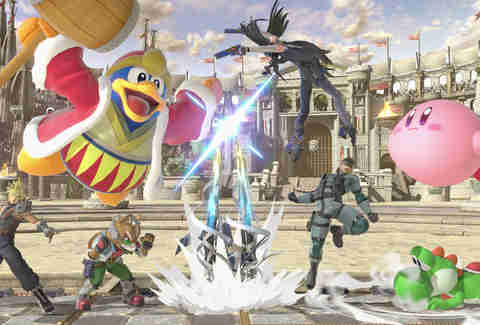 Compared to other Nintendo mainstays, Super Smash Bros. Ultimate is where things get weird. There are 70+ fighters, 100+ stages, and more than 800 tracks of licensed music for those who love jamming out to Galaga medleys, and it’s the only place in which you can use Isabelle from Animal Crossing to beat the crap out of Jigglypuff and Solid Snake. Its affinity for pitting Persona 5 against everyone in the Mario universe justifies it as a Switch staple, but it’s also one of the greatest multiplayer experiences you can have. Until Bowsette joins the battle. It’s 2019 and there’s a Tetris battle royale game. Not only is Tetris 99 one of the more ingenious ideas of the past half decade, it shows that Nintendo is still driven to introduce us to weird twists in old games. In a nutshell: The free-to-download Switch exclusive sticks the puzzler into 99-player battles that make use of garbage blocks and KO badges, and what follows is a tense, chaotic, and exceedingly addictive timesink to be the last player standing. It can be exceedingly difficult, but it's worthwhile. Securing a win in Tetris 99 is nearly an out-of-body experience. Matt Thorson's TowerFall is the greatest party game you've never heard of. The classic couch multiplayer centers around friends-versus-friends matches that utilize arrow types, power-ups, and brilliantly designed levels that turn up the chaos. While the game has brambled its way into everyone's hearts since 2013, it was made for a Nintendo console. 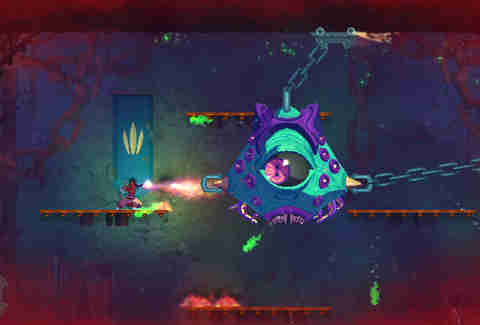 The Switch version features exclusive 6-player battles, widescreen levels, both Dark World and Ascension expansions, and archers such as Celeste's Madeline and Badeline. It's a relatively new addition to the console's long list of indie hits, but it's a Matt Makes Games thrill ride that makes Saturday mornings great again. This new turn-based strategy game picks up where 2018’s Into The Breach left off as it’s a tactical timekiller that goes out of its way to highlight the importance of balancing quality” and quantity. 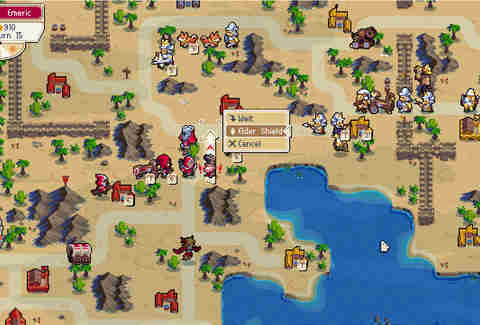 It can be addicting at times and intimidating at others, but its cheeky pixel art, back-to-basics campaign mode, and hidden features (map editor, online multiplayer) are enough to help you become a Final Fantasy noob in no time. There’s even a playable dog commander named Caesar who has special powers and his own pack of armored battle pups, so let’s be honest: What are you waiting for? Joshua Khan is a Toronto-based writer who would totally give his first-born to Tom Nook just to play Animal Crossing on Switch. Find him on Twitter over at @blaremag.